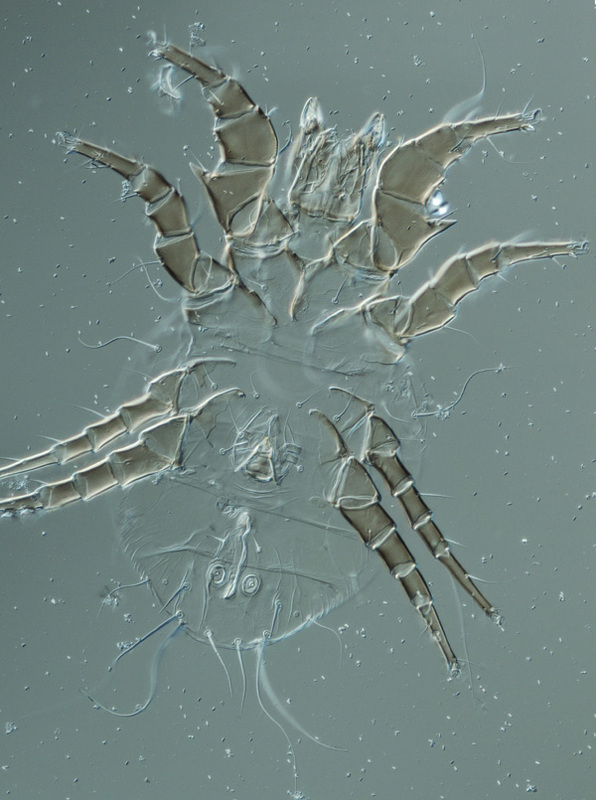 As a follow-up to my earlier blog post, I thought I should show some more examples or successes and problems in imaging mites. The problem in the Diplothyrus image is depth of field. 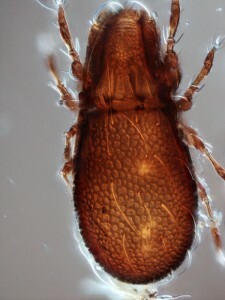 The marginal areas of this mite are out of focus. The LT-SEM image of Excelsotarsonemus shows what great depth of field can do. 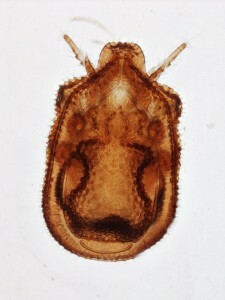 Note the blobs of fungus stuck on this mite. They are vectors of specific fungi. 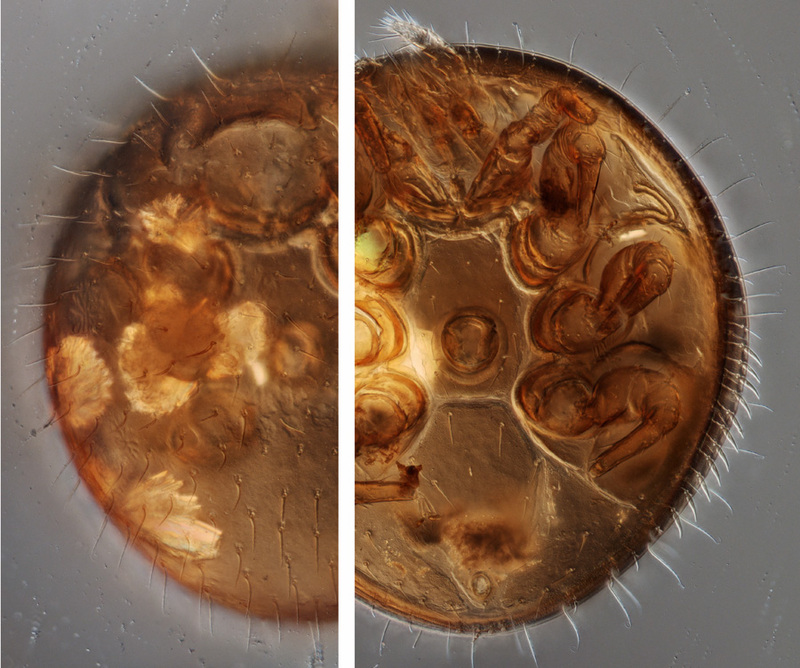 Stacked imaging with Differential Interference Contrast illumination works very well with well sclerotized mites. It generates nice images of cuticular patterns. 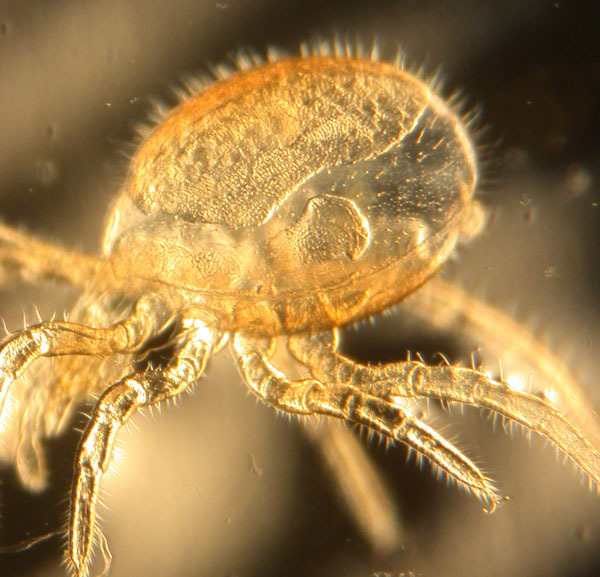 The technique can work well on poorly sclerotized mites, but in this case one has to worry about avoiding imaging structures from the other side. The Trichocylliba images are a good example of what happens with stacked images to 3-dimensional structure. 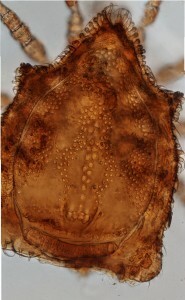 These mites are as high as they are long, but the images do not show that. 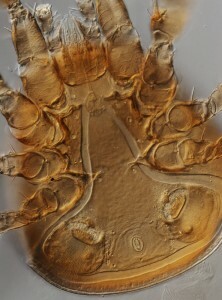 Adding lateral images would solve it, but that proved very tricky with these mites. 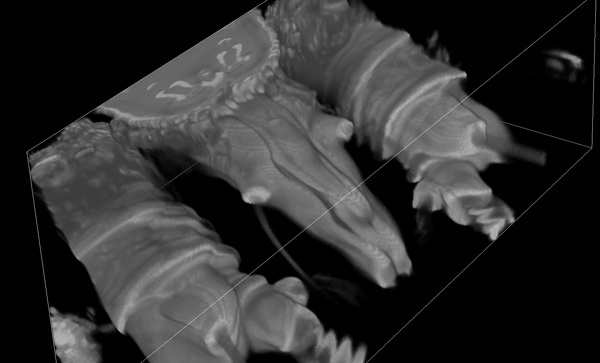 Just for fun, a partial slice though the mouthparts of this Oudemansicheyla shows some of the power of Confocal microscopy (image courtesy of Sam Bolton and Gary Bauchan). Posted by Hans Klompen at 7:00am November 2, 2015 Posted in Biodiversity, Education. Bookmark the permalink. Terrific ! Your images are terrific ! Thanks for testing different technics. DIC seems to be a very interesting technic even for dead organisms. 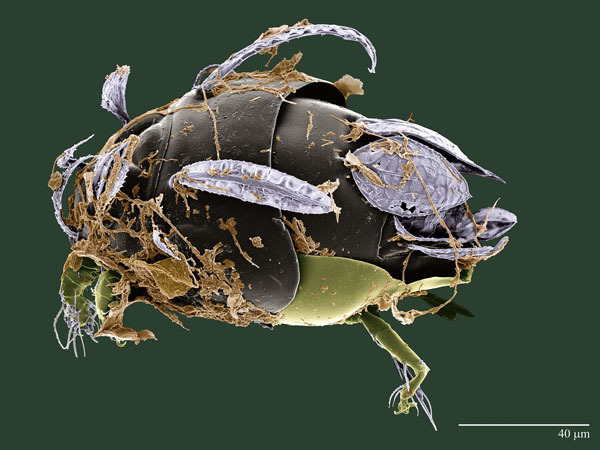 Can you tell us the way you clarify the mites and the mounting media ? What is the type of dissecting microscope you used ? Many thanks for your splendid images !